On time, friendly and safe driver. Nice for traveller who wants to see more in a day with a small budget. As any visitor to Taipei knows, the quaint and historic hillside villages of Jiufen and Shifen are the top places to visit near Taipei. But it's not so easy to get to them - until now! Avoid the slow buses and expensive taxis and book this extremely convenient transfer from Ximen. 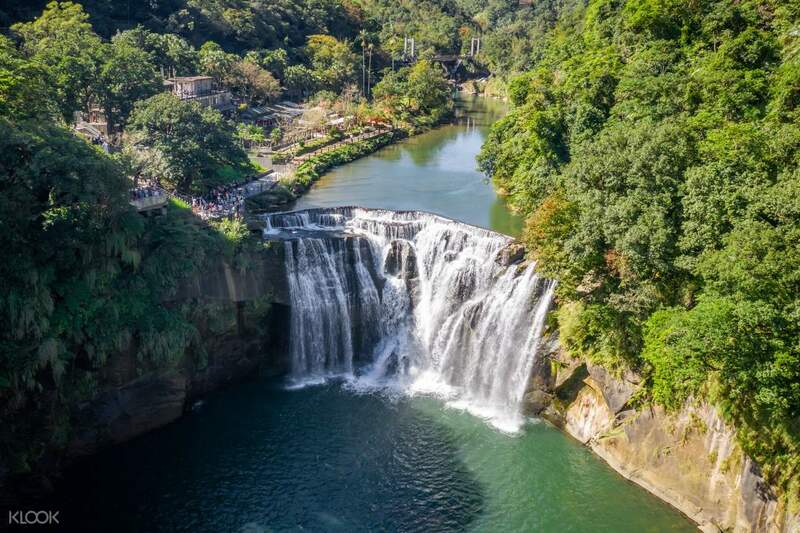 First stop is the Shifen Waterfall, which stands at 40 meters and is widely regarded as the most scenic in all of Taiwan. 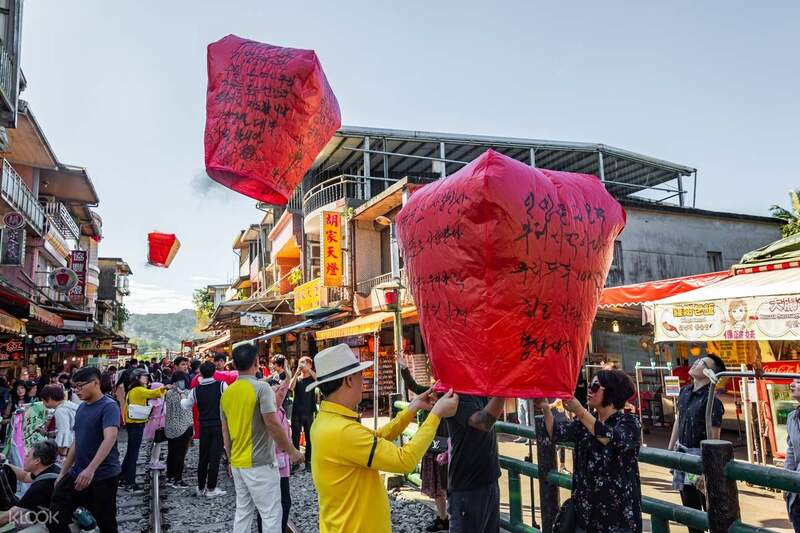 After exploring this picturesque waterfall, you can then head over to Shifen Old Street where you can decorate a paper lantern and make a wish as you set it afloat towards the sky. You will then be driven to Jiufen where you can stroll along the cobbled alleys lined with glowing red lanterns. You can shop for souvenirs, eat local taro desserts or settle in to a traditional teahouse and take in the magnificent mountain views. This isn't a guided tour, so you're free to enjoy Jiufen on your own time. 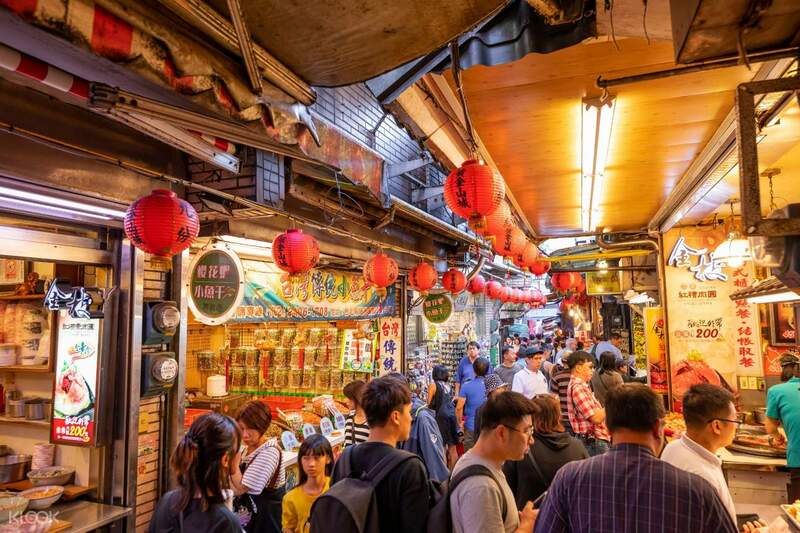 Your final stop will be Keelung Miaokow Night Market, one of Taiwan's more traditional food-focused night markets where you can taste really delicious seafood at affordable prices. 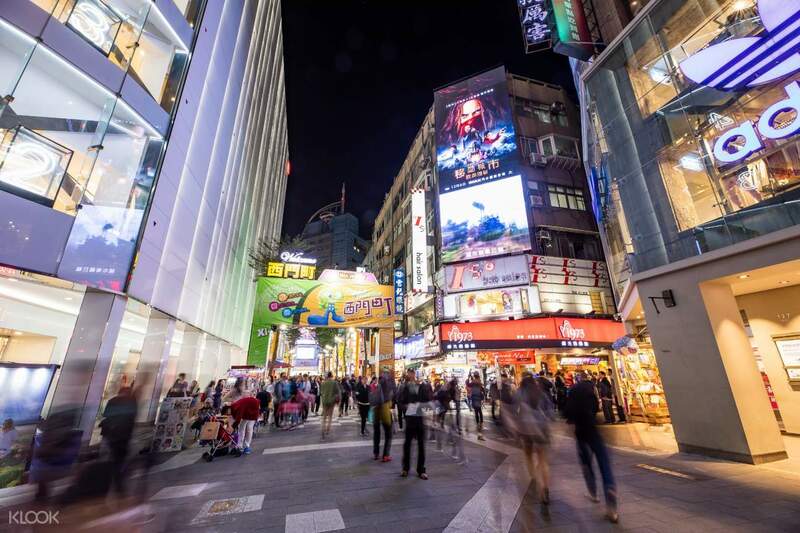 With a full belly, hop back on the bus for your return trip back to Ximen. I super love this trip as the itinerary is planned out is just awesome with the differnt stops especially the last stop in the small town which I would not have been able to plan on my own to go. Have a lot of super cheap local food , see Taiwan’s beautiful scenery and snapped many pictures. And even when I was tired I would just sleep on the bus and catch up on my sleep ! Love it! I super love this trip as the itinerary is planned out is just awesome with the differnt stops especially the last stop in the small town which I would not have been able to plan on my own to go. Have a lot of super cheap local food , see Taiwan’s beautiful scenery and snapped many pictures. And even when I was tired I would just sleep on the bus and catch up on my sleep ! Love it! Bus was on time and there are simple illustrations for those who does not understand mandarin on the bus. Prior to every destination, the driver will announce the place and time to meet later. For those who does not understand mandarin, he plays a pre recording of the time. Each passenger also received a complimentary bottled water which I find it a nice perk to the overall convenient transfer! Bus was on time and there are simple illustrations for those who does not understand mandarin on the bus. Prior to every destination, the driver will announce the place and time to meet later. For those who does not understand mandarin, he plays a pre recording of the time. Each passenger also received a complimentary bottled water which I find it a nice perk to the overall convenient transfer! 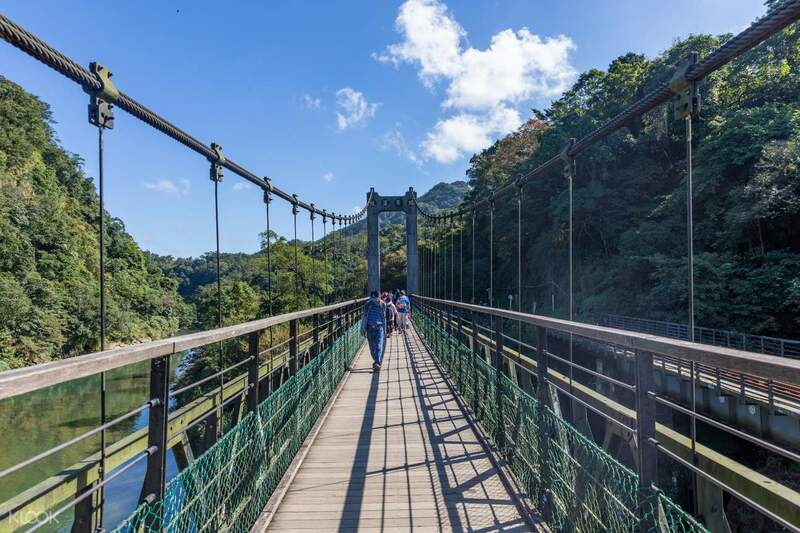 This is the must-try activity when visiting Taipei. The bus departs on time with modern furniture and facility. The driver, although, can not speak English, he uses an App to translate in order to make clear about the schedule for everyone. The time allocation for each destination is very suitable for sightseeing. The ancient street is quite crowded but strong impressive about Taiwan’s culture. The night market is plentiful of food stalls. The trip ends at around 7pm, still enough time for other activities at night. This is the must-try activity when visiting Taipei. The bus departs on time with modern furniture and facility. The driver, although, can not speak English, he uses an App to translate in order to make clear about the schedule for everyone. The time allocation for each destination is very suitable for sightseeing. The ancient street is quite crowded but strong impressive about Taiwan’s culture. The night market is plentiful of food stalls. The trip ends at around 7pm, still enough time for other activities at night. Driver was great! He provided informative details about how and where to go before alighting us. The duration for the different locations were sufficient & the sceneries were beautiful too! It’s a great experience for the lantern as well. Driver was great! He provided informative details about how and where to go before alighting us. The duration for the different locations were sufficient & the sceneries were beautiful too! It’s a great experience for the lantern as well. Excellent trip, visited several impressive sights around the northern part of Taiwan. Despite not speaking mandarin, it was easy enough to take part, the driver had cards advising what time we needed to be back for, so there was no difficulty. Excellent trip, visited several impressive sights around the northern part of Taiwan. Despite not speaking mandarin, it was easy enough to take part, the driver had cards advising what time we needed to be back for, so there was no difficulty.